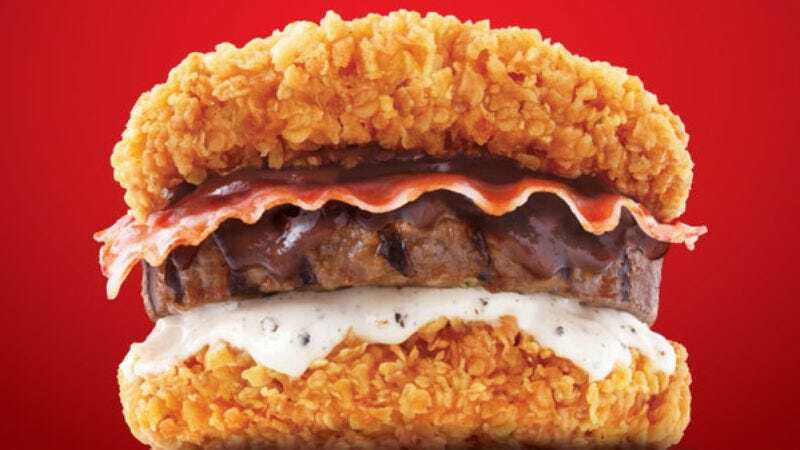 While the world’s wary eyes have been trained on North Korea, South Korea has quietly been taking advantage of that inattention to construct its own weapon of destruction: the Zinger Double Down King. A successor to the traditional Double Down in much the same way that Kim Jong-un took over for Kim Jong-il, the Zinger Double Down King takes the former’s already unstable platform that the bread of a bacon-and-cheese sandwich should be replaced by spicy fried chicken, then adds a hamburger. The result is a coalition of pork and beef oppressed by a supreme fried chicken dictatorship that threatens to upset Korea’s entire southern region, at least until it passes. The debut of the original KFC Double Down was a monumental advancement for the technology of replacing things with fried chicken, which seems to have stalled in America after KFC’s introduction of the Drumstick Corsage and the intervention of the UN. 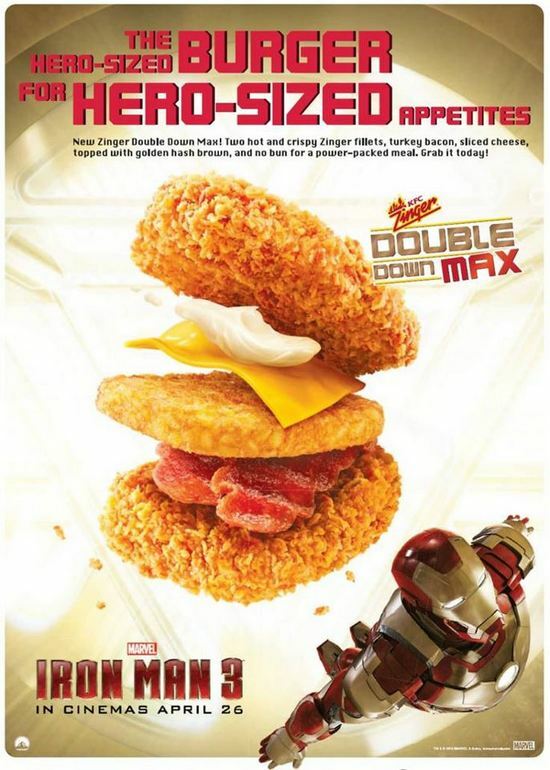 But KFC Korea has accelerated that greasy arms race by replacing the things that go between fried chicken—in this case, air—first with hash browns, as it did with last year’s Double Down Max, and now bacon cheeseburgers. Is it unreasonable to think that it could soon replace other things that exist between fried chicken, like freedom? And what will it replace it with? Taekwondo? Fish? Korea’s Zinger Double Down King clocks in at around 750 calories and has been elected leader for life, however long that lasts.